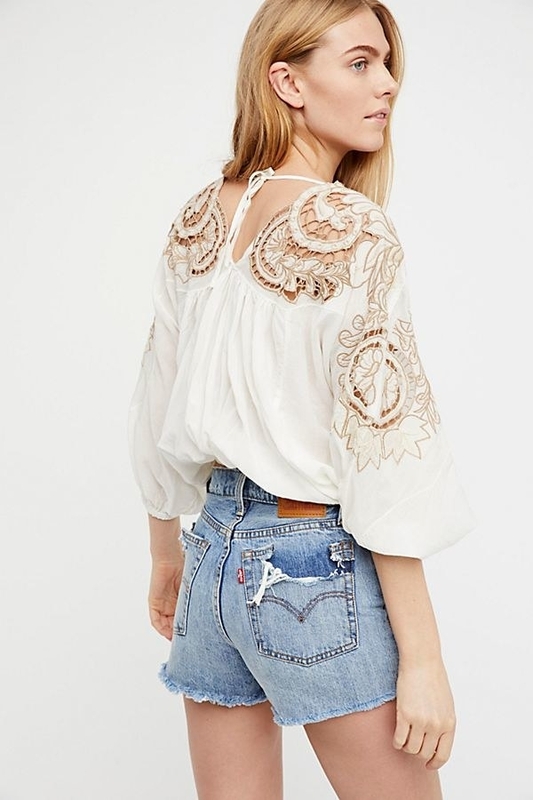 Hear Ye, Hear Ye: Free People Is Having A Massive Sale! 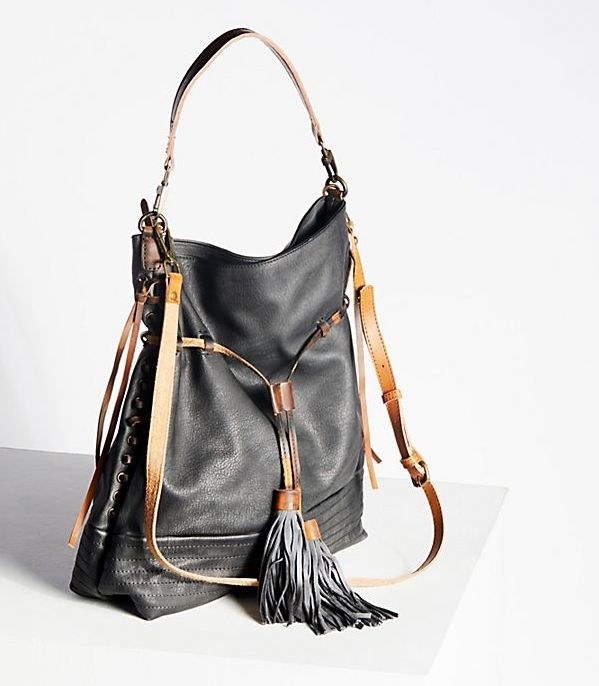 Need a reason to shop this list of our 27 favorites? You get an extra 50% off these sale items that are *already* discounted! Go! Brace yourselves, because Free People has blessed us with an extra 50% off all sale items. Yes, that's right. And if you're feeling overwhelmed, you're in luck because we rounded up some of the best picks, so get shopping! 1. A lace-paneled mini that lets you twirl to your heart's content, and as a consequence (or added bonus), lets you see some stars. 2. Slim boyfriend jeans with a lovely ~lived in~ feel and slight vintage flair (hello, exposed zipper!). Just say "seeya" to your current favorite pair, because this pair is coming for the #1 most worn prize. 3. A chic AF polka-dotted set for the perfect poolside Instagram snap — cocktail and wide-brimmed hat not included. 5. 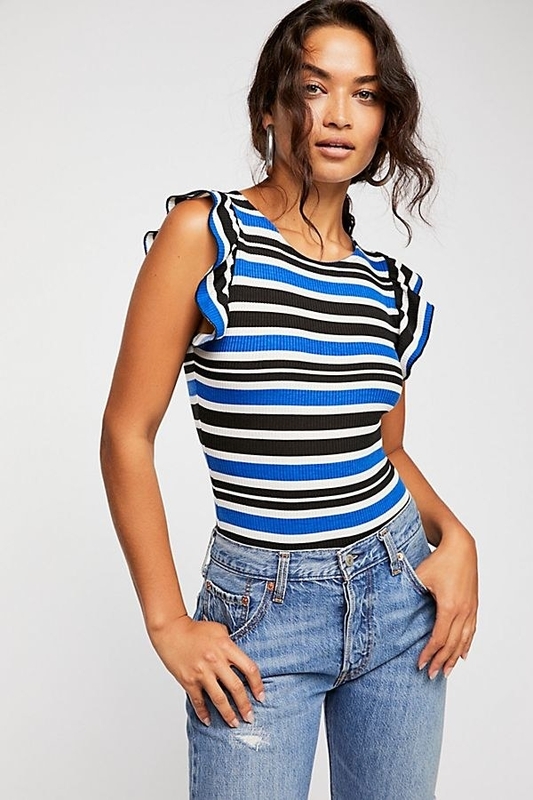 A darling striped bodysuit with just enough detailing to ~ruffle~ up your day — there's no time for boring outfits around here! If you prefer a solid color bodysuit, check out this ruffled one for the same price. 6. A dainty dotted romper that likes to be quite forward with its owners — its opening line is, "Hello, please take me on many dates." 7. 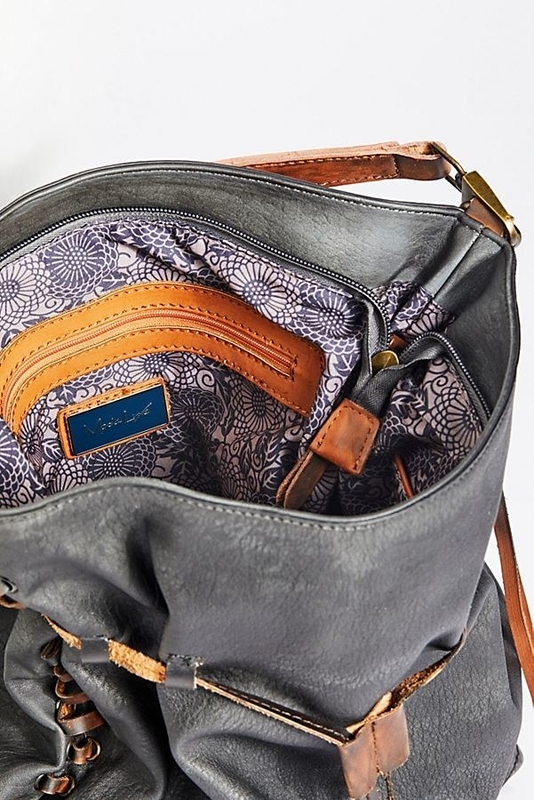 A slouchy faux leather tote bag to disguise your jumbled mess of makeup, tissues, receipts, and accessories into something actually presentation-worthy. 8. 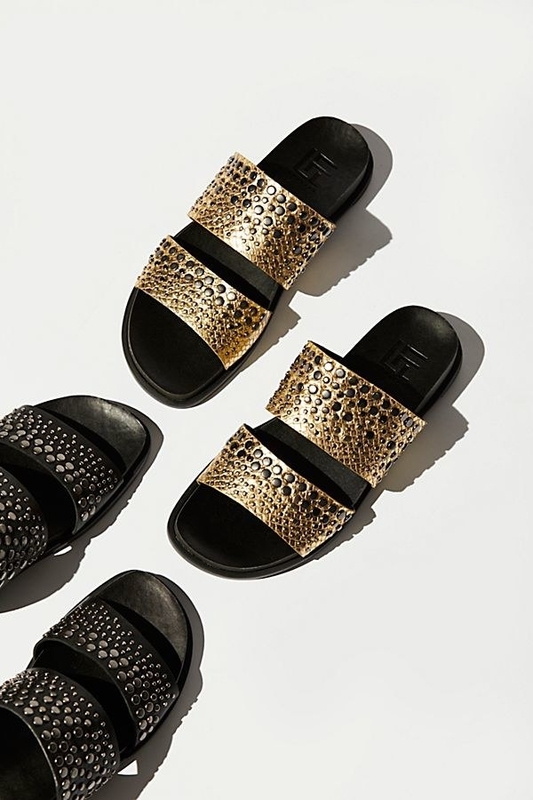 Casual but polished faux snakeskin slides with personalities that aren't super humble — you see, they think they're quite the ~studs~. 9. A plunging linen-blend tank top that earns top marks in the embroidery category — plus, it's a perfect opportunity for pretty bralette layering if you're feeling it. 10. Flowy AF smocked pants to give your legs adequate ventilation when it's impossibly humid outside, which is reason enough for imitating the praise hands emoji. 11. 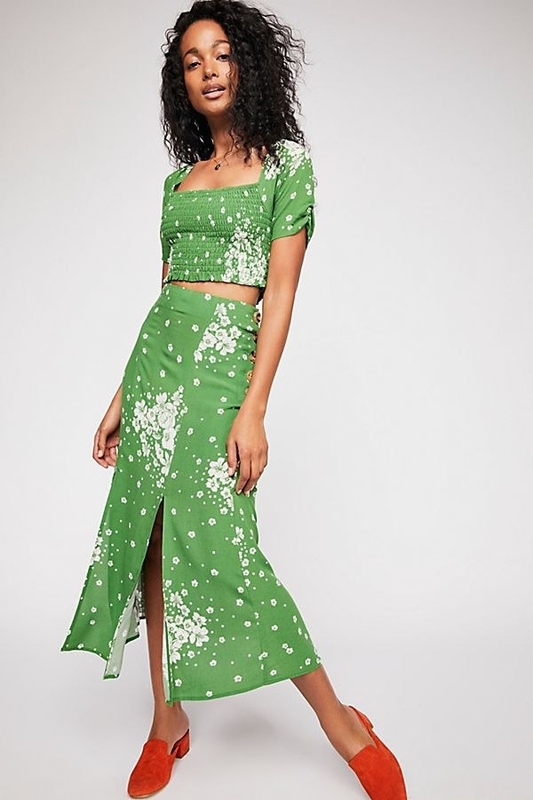 A floral two-piece set that adds a colorful punch to your wardrobe — black is great and all, but sometimes you need a pinch of green for good luck. 12. 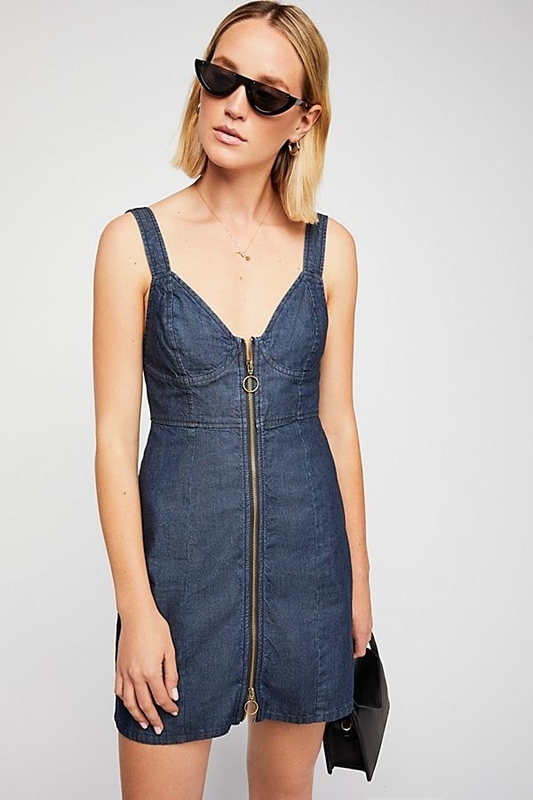 A polished cotton mini with contrasting detailing, adjustable tie straps, and semi-hidden pockets. POCKETS! 14. A studded suede crossbody that's ready to accompany you on all of your nights out — red hot coming onto the dance floor! 15. 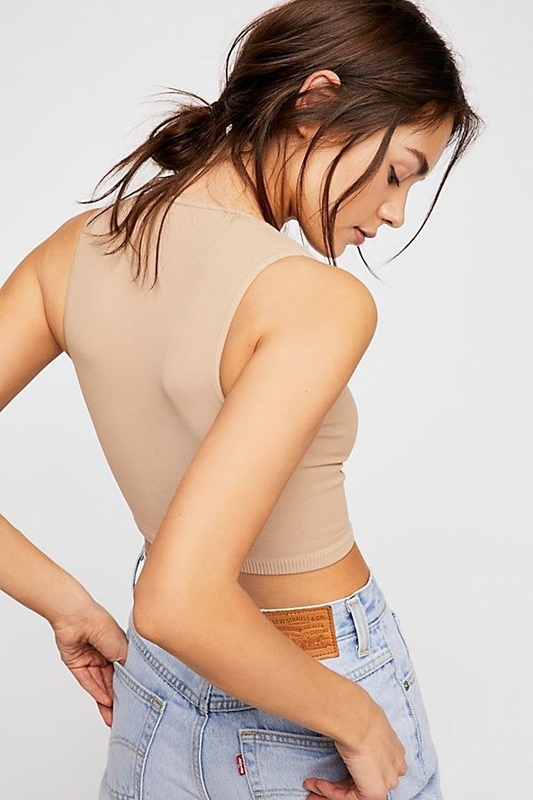 A seamlessly smooth brami, which is a bra and cami hybrid, so you can roam around without a bra if you so choose, or you can layer it under looser pieces. Here's another similar brami also on sale for the same price. 16. A pair of slip-on suede wedges that add a statement element to any outfit — and there's plenty of wiggle room for your tootsies. 17. 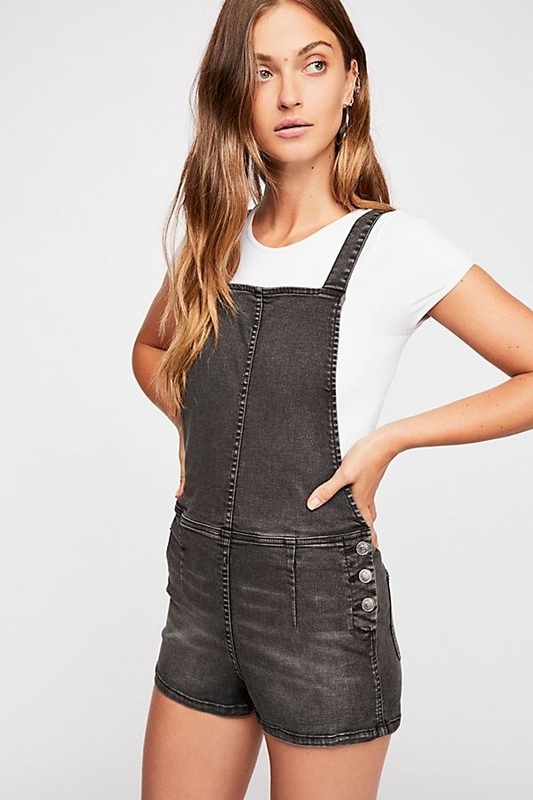 A retro-inspired zipper denim mini for flawless style that doesn't compromise comfort — it's committed to giving you the best quality. 18. A short-sleeved mock neck sweater made of equal parts retro, striped, and comfy — basically perfect for any temperate *and* what-season-is-this-even weather. 19. A loosey-goosey onesie that's basically the dictionary definition of "cozy" — I've heard cases of people dozing off within five minutes of putting this bad boy on. 20. A pretty-in-pink bodycon dress to show off every inch and curve of beautiful you. 21. 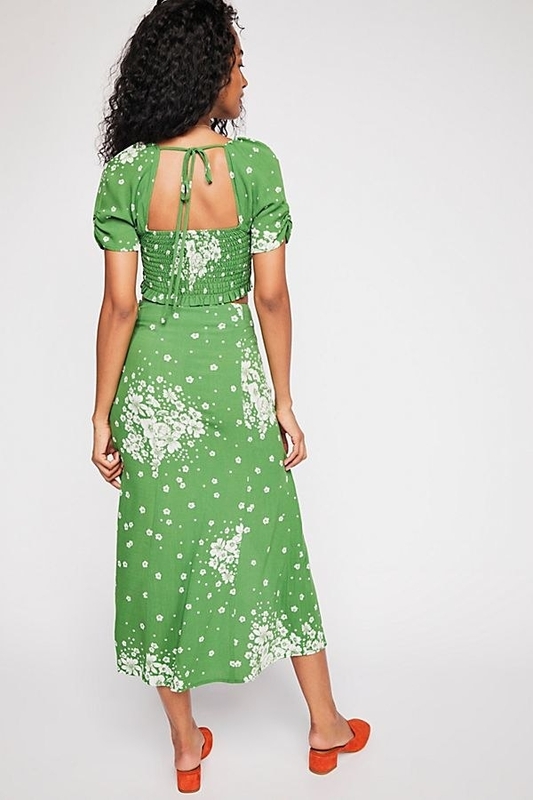 A darling daisy slip with a low back that'll put a ~spring~ back into the step. 22. Leather wrap sandals to keep your stompers happy and super chill all summer long — who has time for heels? 23. A super soft emerald top with a front tie that's as bold and beautiful as you — and rumor has it, the back of this top was Justin Timberlake's inspiration for "SexyBack." 24. A plaid trenchcoat perfect for throwing on whenever you need a lil' extra warmth — easy, breezy, chic. 25. A breezy dolman blouse that's basically a piece of wearable artwork — no need for applause, please. 26. A pretty boho-inspired swimsuit for every beach, island, and resort escapade you have planned this summer and forever. Check out the sale swim section for more! 27. 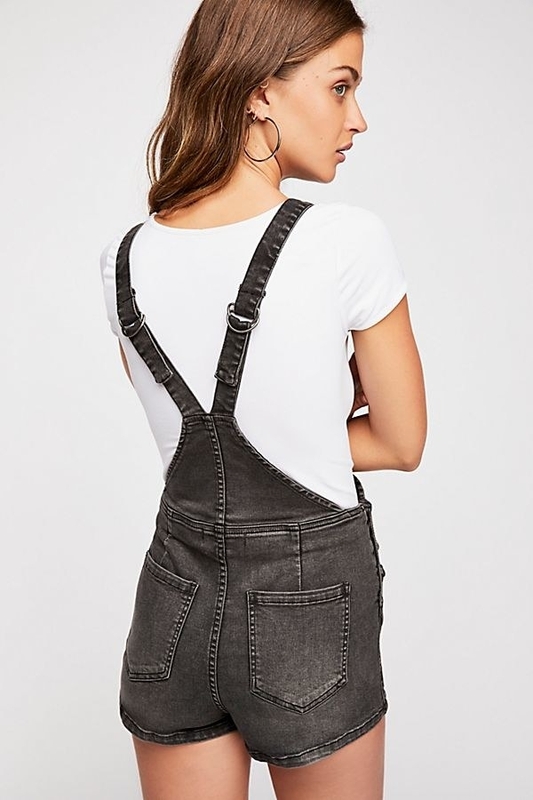 Cute-as-a-button shortalls made from super stretchy denim that are a tee's match made in heaven. Layer away!